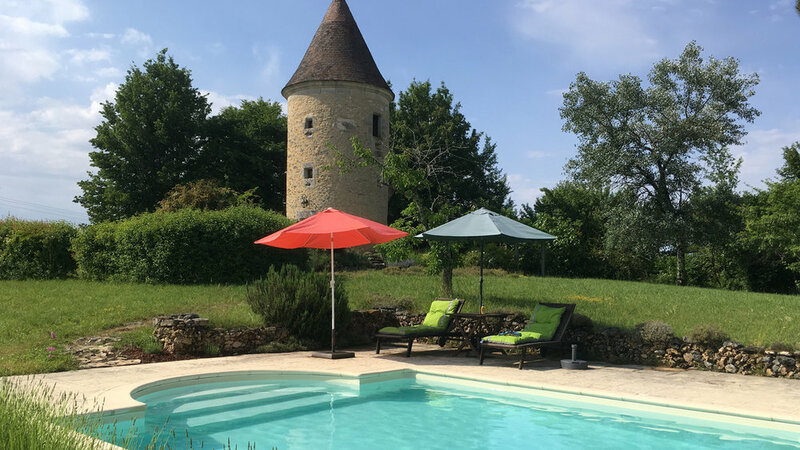 Our 16th century tower is set in the heart of the beautiful Dordogne, just a 35-minute drive from Bergerac airport and half an hour from historic Perigueux. The tower is privately owned, beautifully appointed and available for holiday lettings - an idyllic escape for 2-3 people. With a large private swimming pool and extensive grounds, this is the perfect place for honeymoon couples and naturists to relax. A small attic room can take one more guest. Set in its own private grounds of about 2 acres, the tower is a tiny gem which has been sympathetically restored by artist craftsmen to create a unique holiday property. We have been letting our tower since 2004 and our guest books describe our tenants’ delight. A great place to celebrate a special anniversary. The tower is designed for 2-3 people to enjoy their holiday. From the outside it looks tiny but as soon as you enter, it quickly seems to expand to accommodate everyone willingly, as in all enchanted places. All the stairs in the tower, and the kitchen, bedroom and bathroom furniture are hand made by craftsmen from ash, inlaid with other hardwoods. Check our availability & pricing and decide which season suits you best – there’s lots to do all year round. 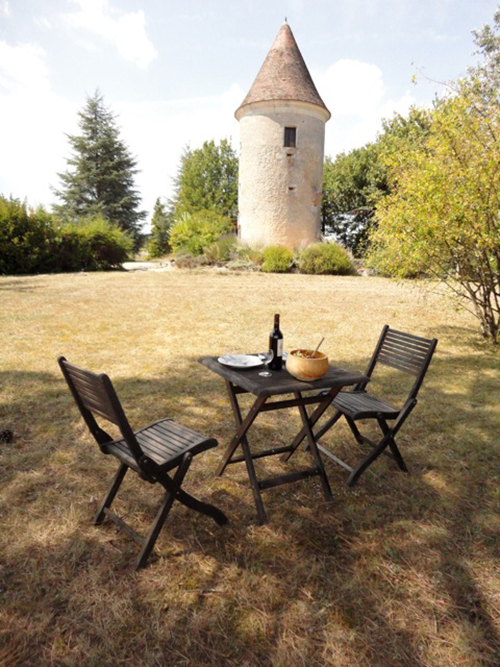 Then get in touch to book your stay at our breathtaking French holiday tower. The beautiful Dordogne is rich in history, food and drink, festivals and many outdoor activities, so have a look at all the things the region has to offer you. There is something for everyone here. Have a look at some pictures of the tower and its surrounds, and don’t take our word for it – read excerpts from our visitors’ books.